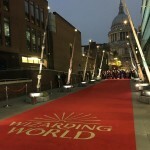 Yesterday a special Fantastic Beasts wand installation opened in London ahead of the release of Crimes of Grindelwald, and we were there to witness the event! 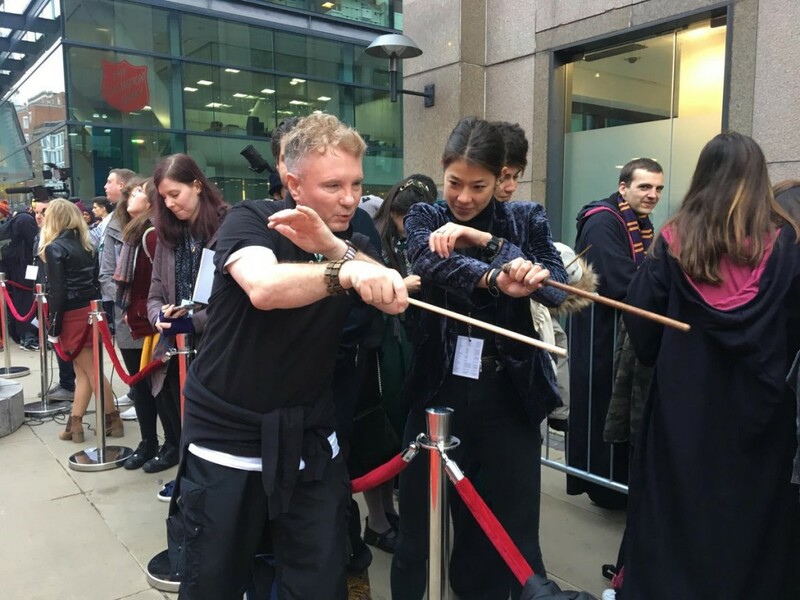 Expert Wand Choreographer, Paul Harris, and prop wizard Pierre Bohanna were both there to speak about their experience on the films–and Harris even gave us a wand class demonstration! First up, we saw a performance of a few tracks of the Harry Potter and Fantastic Beasts soundtracks, including a performance of Hedwig’s Theme! 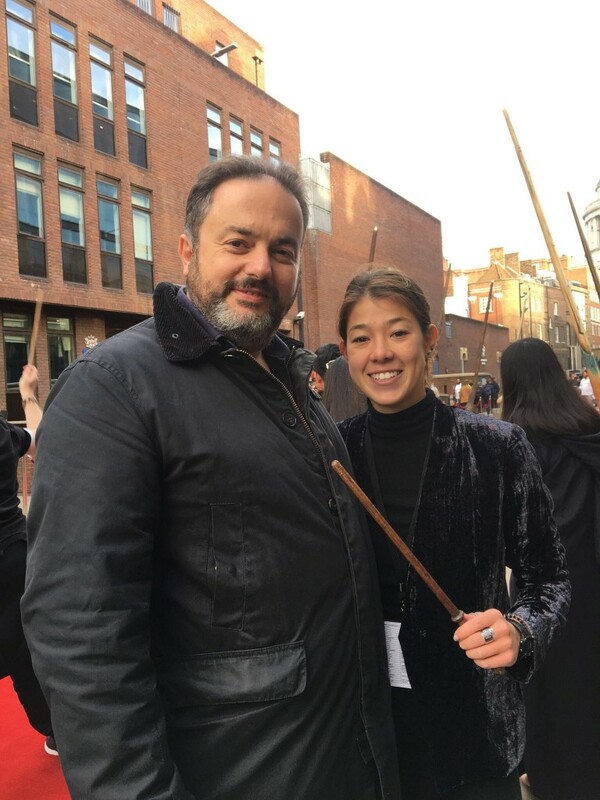 Leaky’s reporter Claire Kao then received an awesome wand choreography lesson and is now 100 percent ready to face the wizarding world! 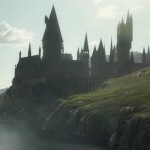 “I remember one of the very first questions that was asked of me, and I laughed, I thought this was incredible that someone asked this amazing question–this guy came in and was watching the rehearsals really early on, and then he introduced himself and said he was head of CGI and said, ‘I’m just wondering what might constitute wand shrapnel?’ Definitely never been asked that question before! But it makes you think about all that because then, obviously, that’s being put on afterwards. 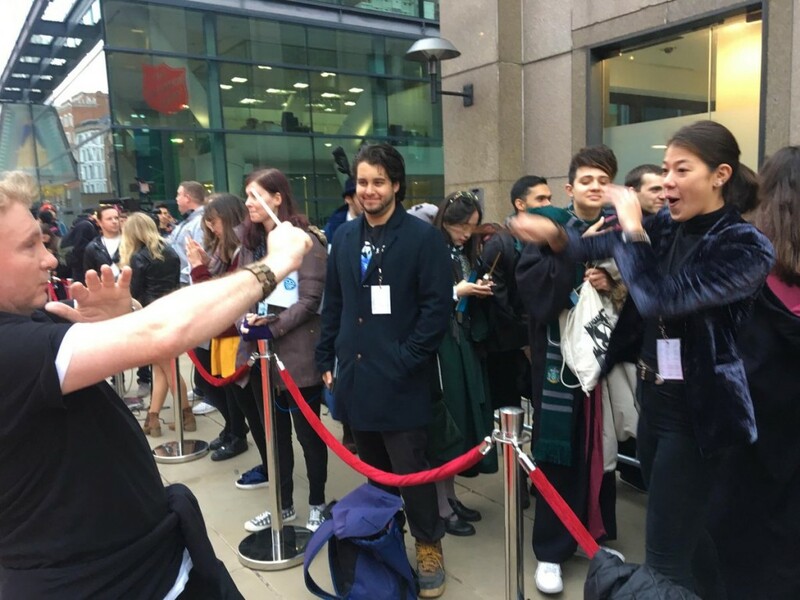 Fans at the event were lucky enough to walk away with Crimes of Grindelwald premiere tickets – and a replica of Newt Scamander’s wand! We had such an excellent time! 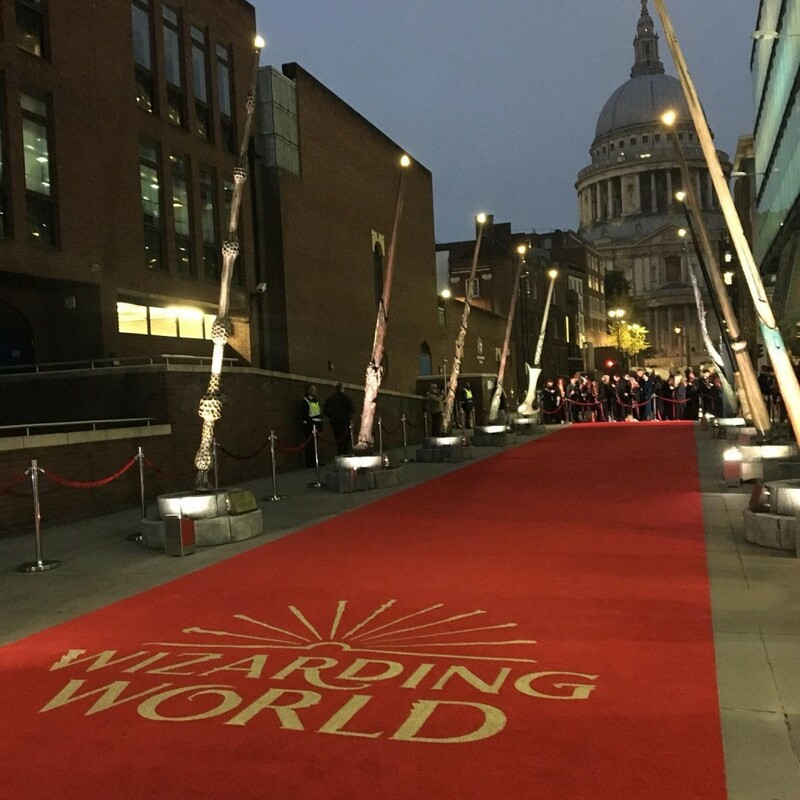 Be sure to order your own Fantastic Beasts pin in support of J.K. Rowling’s children’s charity, Lumos, and look out for more Fantastic Beasts special events coming soon – take a look at early fan screening tickets here. Thanks to reporter Claire Kao for the coverage of this event and to Warner Bros for the invite!